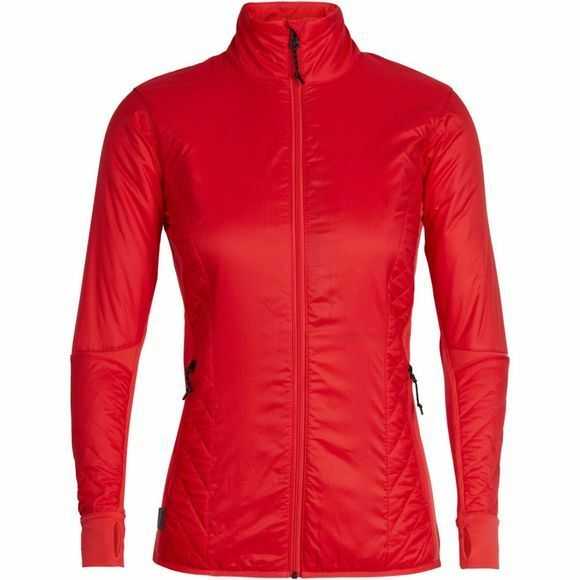 Designed as an active alpine mid layer for cold, high-output days of skiing, climbing, snowshoeing or hiking, the Women’s Helix Long Sleeve Zip combines sustainable materials with a sculpted fit and technical design. The Helix’s zoned quilting features our MerinoLOFT™ insulation, which provides a warm, breathable and natural alternative to synthetic insulations. The recycled polyester face fabric features a DWR that sheds light precipitation. Merino jersey stretch panels in the sides and arms help regulate body temperature on active days, and the 100% merino lining ensures a cosy feel inside. Zippered hand and chest pockets keeps small essentials like lip balm, snacks and your phone close at hand.